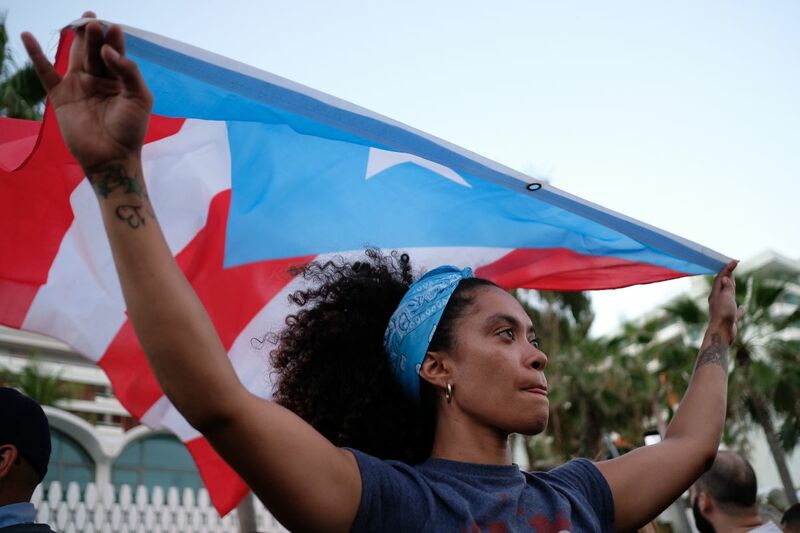 A woman displays the Puerto Rican flag in in San Juan, Puerto Rico, on May 2nd, 2018. 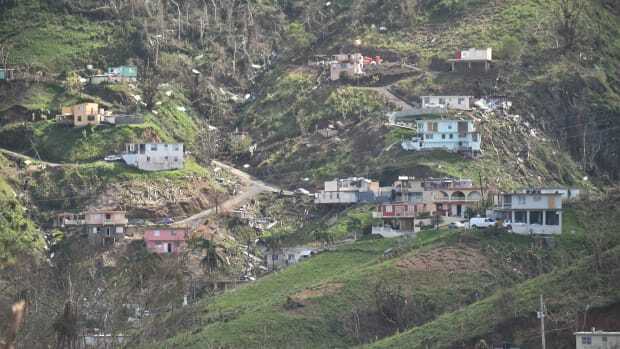 Senators Elizabeth Warren (D-Massachusetts) and Bernie Sanders (I-Vermont) introduced on Wednesday a bill that would effectively erase billions of dollars in debt owed by Puerto Rico and other American territories ravaged by hurricanes (and Wall Street) in recent years. 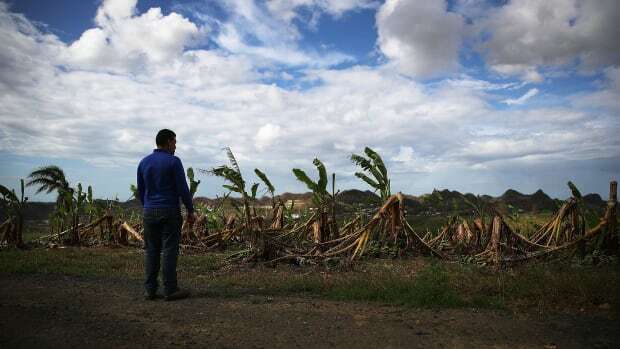 Under the newly introduced U.S. Territorial Relief Act of 2018, territories like Puerto Rico and the United States Virgin Islands could vote to cancel their debt obligations if they meet at least two of the following criteria: the territory has seen its population decline by more than 5 percent in 10 years; the territory has received major federal disaster assistance; and the territory has a per capita debt of over $15,000. "Puerto Rico was already being squeezed before Hurricane Maria hit and will now have to rebuild under the weight of crushing debt," Warren said in a statement. "Our bill will give territories that have suffered an extraordinary crisis a route to comprehensive debt relief and a chance to get back on their feet." Puerto Rico owed $73 billion in debt even before Hurricane Maria ripped across the island in September of 2017. The territory had filed for a form of federal bankruptcy in May of that same year. Warren and Sanders were joined by Senators Kamala Harris (D-California), Kirsten Gillibrand (D-New York), and Edward Markey (D-Massachusetts) as co-sponsors for the bill. Some of bill&apos;s sponsors used its introduction as an opportunity to criticize Wall Street&apos;s role in Puerto Rico&apos;s debt crisis. "Greedy Wall Street vulture funds must not be allowed to reap huge profits off the suffering and misery of the Puerto Rican people for a second longer," Sanders said in a statement. While many of Puerto Rico&apos;s fiscal woes can be tied to Wall Street, some research firms estimate that less than 25 percent of Puerto Rico&apos;s debt is held by hedge funds. While that 25 percent still amounts to billions of dollars in debt (for instance, a single hedge fund called Autonomy Capital owns almost $1 billion of the island&apos;s debt), much of what Puerto Rico owes belongs to individual investors. The Sanders-Warren bill works to take this fact into account. 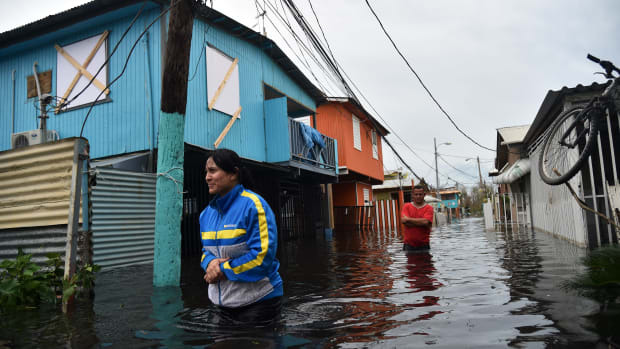 It sets aside $7.5 billion to compensate Puerto Rican creditors who find their debt terminated, as well as an equal sum for mainland creditors. However, the bill explicitly excludes Wall Street from compensation for any canceled debt: Hedge funds and other financial firms with over $2 billion in consolidated assets won&apos;t be eligible for the $15 billion set aside for creditor compensation. The senators picked a notable day in Puerto Rican history to introduce their legislation: Wednesday marked the 120th anniversary of the U.S.&apos;s invasion of Puerto Rico. 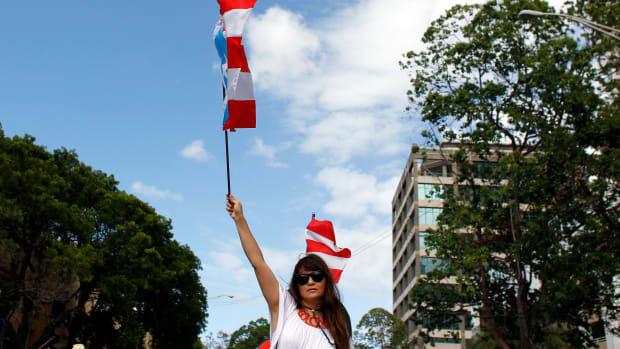 July 25th is now officially recognized in Puerto Rico as "La Día de la Constitución"—Constitution Day, which marks the date in 1952 when Puerto Rico became a commonwealth of the States. In 2016, the Obama administration endorsed and signed the Puerto Rico Oversight, Management, and Economic Stability Act (PROMESA). Under PROMESA, much of the authority normally given to the government elected by the Puerto Rican people was ceded to a federal oversight board. The complicated legislation saw Puerto Rico&apos;s status as a self-governing territory melded with federal bankruptcy codes designed for local governments. 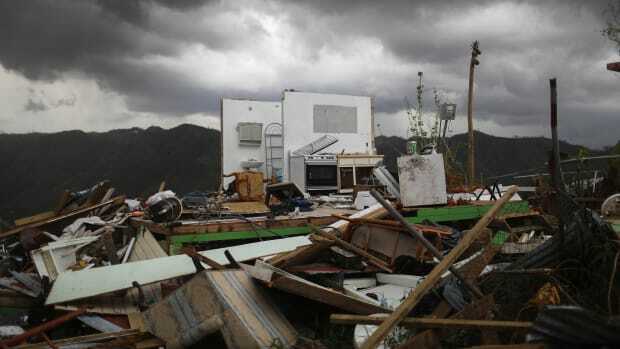 Deeply controversial in Puerto Rico and attacked for its undemocratic—and even colonial—nature, PROMESA has impeded Puerto Rico&apos;s ability to respond to the hurricane&apos;s destruction. Though PROMESA was supported by a Democratic president (and voted for by Gillibrand), "Congress&apos;s previous attempt to address the Puerto Rican debt crisis—PROMESA—was enacted before the hurricanes, so it was not designed to account for the recent devastation," says a joint press release from the bill&apos;s sponsors. The same press release quoted Sanders as saying it was time to "return control of the island to the people of Puerto Rico."